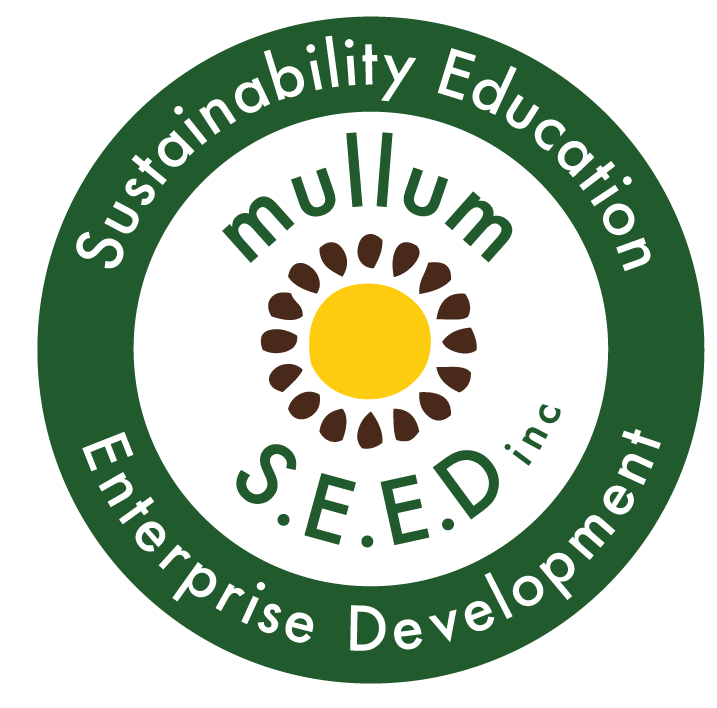 Byron Hinterland Seed Savers | Yam Registry - Mullum S.E.E.D. 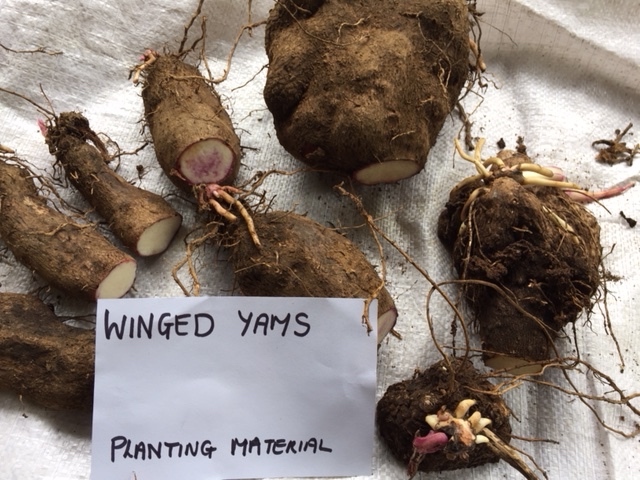 Inc.
We are very excited because Byron Hinterland Home Garden has harvested and eaten a lot of YAMS this year ; Making mashed & baked yams and cooking various yams in curries, stews, soups, cake and icecream! It is time to plant YAMS NOW as they are just starting to send their very strong tendrils up into the air. crop. Along with Taro and Coco Yams! We would love to make sure if you lose your variety of YAM that we can help get you more! This year I thought that I had lost all of my PURPLE YAMS! Heart breaking for me as they are my favorite! But a kind person from Lismore got some to me! We at BHSS have excess planting stock this year and want to make sure more of us grow yams! We have the following YAMS planting stock : Available freely now. AFRICAN YELLOW YAMS : About the size of a carrot when ready to harvest and soft and yummy. 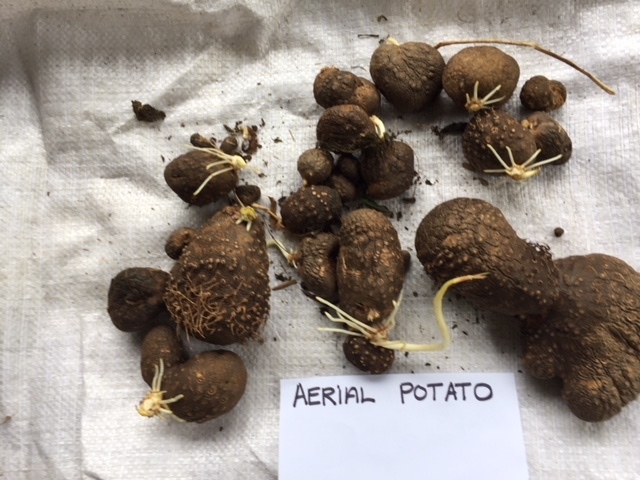 AERIAL POTATO YAMS: These are white and great eating. Eat the big ones and keep the small for planting. PURPLE YAMS: ( A winged Yam) The purple Yams are usually a very bright wonderful purple. Sometime they go white. I had already replanted most of mine and the ones pictured have faded to a white. You can still see traces of the purple. I am not sure why this happens. WINGED YAMS: Also come in white and are soft and great eating. GIANT FOREST YAMS: These grow in many shapes and sizes all giant. and arrange a time to come to Goonengerry to collect your yams. Let us know the variety/varieties you want. We can leave them behind the roadside stall for you if we are not home. Or we can make other arrangements. Please think about growing at least one variety of Yam! The do well in a small garden too! Yams produce a very long vine. You can grow this up a trellis, or let it trail over stakes and a wire. this will be messy but the wines are great compost when the leaves die down and you harvest in winter. When you cut the yams you can dip the cut end in ash to prevent it going moldy that way it will keep longerpre planting. Cooking Yams: It is always good to peel yams ( and Taro) in water as both have a slimy surface that can irritate the skin. Soak the yams and change the water before cooking. YAMS tend to grow babies on the vines in the second year of growth. Make sure you do not let yams grow into the bush or rainforest as they are vigorous! I am not an expert on Yams. This attached article is a good one by Jerry Colby-Williams, a knowledgeable gardener of food for security and sustainable perennial food. If you are already growing yams, please send us your Full Name, Email and Mobile and the names of the Yam’s you have for our YAM REGISTER. We hope to make the register available on our Seed Share website once it is relaunched.